St. Louis is famous for inventing several foods. Ice cream cones & hot dogs in buns were first served at the 1904 World's Fair, which also introduced people to hamburgers, cotton candy, iced tea, & Dr. Pepper. Other St. Louis originals include toasted ravioli, gooey butter cake, concretes, peanut butter, Provel cheese, slingers, & 7-Up. 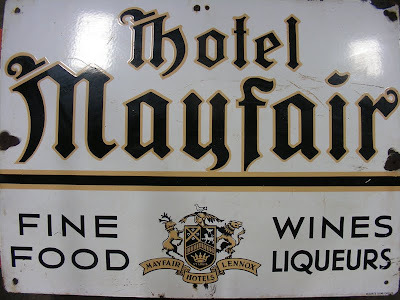 One of my favorite local recipes is Mayfair salad dressing. 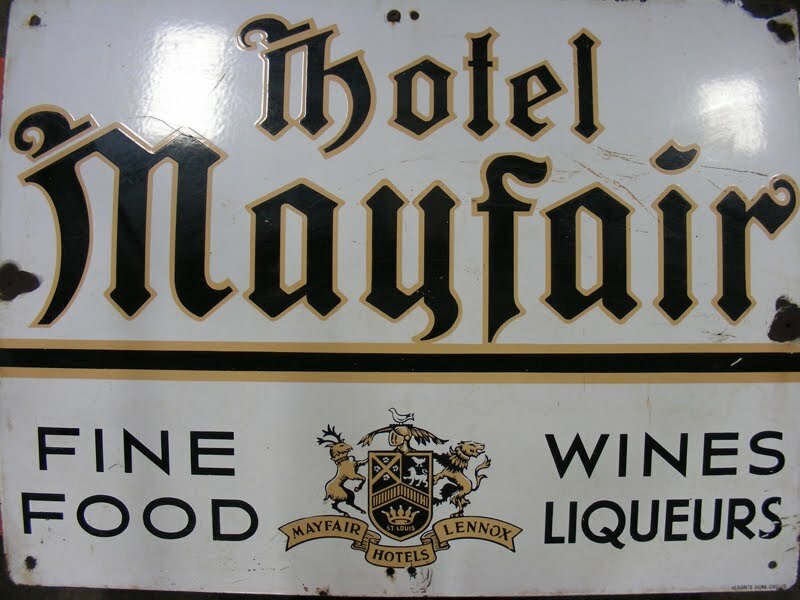 It was created at the Mayfair-Lennox Hotel in downtown St. Louis. This dressing is similar to Caesar dressing but has more of a "bite" to it. I was planning on making Mayfair dressing a couple weeks ago for my cousins who were visiting from California, but I didn't get to it. Instead, I put together a "midwestern" dinner for them of barbecued pork steaks, baked macaroni & cheese, tomato & basil salad, & peach crumble. I didn't want to do anything too fancy, since they were traveling with their picky 6-year-old son. Plus, I wanted to feed them something they probably don't get too much of on the west coast and some fresh summer produce. But, you know, I think they got the wrong impression from my meal and from their trip. They seemed to have left with the impression that Illinois/St. Louis was "the country" full of intolerant & simple-minded conservatives. Or, maybe they just arrived here with that impression already. Either way, I'm sorry I didn't get a chance to show them what I love about St. Louis...beyond its food! Anyway, I ended up making this dressing just for us later in the week. It brought back memories of going out to eat with my family when I was younger...I'd always order the Mayfair dressing on my salads and thought I was being super fancy. * Kelly's Note: I used the entire little tin, including the oil. Grind the pepper well in blender. Then, add the garlic, onion, celery, mustard, anchovies, & champagne and blend well. Add one egg at a time & blend until incorporated. With the blender running, slowly pour in the oil to emulsify the dressing.